Onglyza, also known by its generic name of saxagliptin, is a popular medication used to help lower glucose levels in patients with type 2 diabetes. 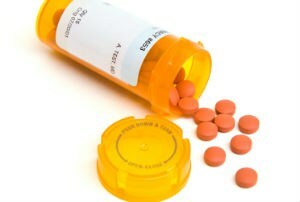 The drug has been linked to an increased risk of heart failure, pancreatic cancer and pancreatitis. If you have been harmed after taking this medication, do not hesitate to contact the Chicago personal injury lawyers at Goldberg Weisman Cairo today. You may be entitled to compensation for your injuries. As the largest injury law firm in Chicago, we have the resources to defend your rights against large drug companies and will fight to make sure you receive the compensation you need to cover medical bills, lost wages and other expenses. Schedule a free consultation today to learn more about filing an Onglyza lawsuit. Onglyza was approved by the U.S. Food and Drug Administration (FDA) in 2009 as part of a new class of diabetes medications called dipeptidyl peptidase 4 (DPP-4) inhibitors. Despite the highly marketed benefits of Onglyza, the diabetes drug has been linked to numerous dangerous side effects. The panel also concluded that the drug may increase the risk of death, regardless of the cause. A 2013 study published in the journal Diabetes, identified a link between Onglyza and pancreatic cancer, a disease that is often difficult to treat. According to the study, patients taking DDP-4 drugs developed an increased number of abnormal cells in the pancreas that can turn into cancer. Those taking other diabetes medications did not have the same side effects. In 2011, the FDA called for pancreatitis, the swelling of the pancreas, to be added to the drugs warnings and precautions. The agency received a number of reports from patients suffering from acute pancreatitis after taking Onglyza. Severe cases of pancreatitis can require hospitalization and even lead to death. Patients who have filed an Onglyza lawsuit have alleged that the drug makers, AstraZenica and Bristol-Myers Squibb, failed to warn patients and doctors about potential dangerous side effects. The lawsuits also claims the drug makers fraudulently marketed the drug without knowledge of its dangers. If you or someone you love has suffered illness, injury or death after taking Onglyza, you need an experienced and reputable attorney on your side to defend your rights against this negligent drug maker. Our class action lawyers are not afraid to take on the largest drug companies in the country and have the resources to do so. With decades of experience, we are dedicated to helping the injured recover compensation for their injuries. Our attorneys work on a contingency fee basis and do not collect a fee unless your case is successful.